I invite the members of the General Assembly to stand where I have stood, next to the weeping, sobbing parents, siblings, grandparents, spouses and children before the open grave. I invite them to answer the questions I have been asked: Why? Why did they die? Why were there guns? Why all this pain? Why all this violence? I invite the members of the General Assembly to look into the cold, unforgiving ground and imagine that it is not some unknown stranger, but their parent, their spouse, their sibling – their child! And then tell me why they are silent! Tell me why they can’t pass laws! Tell me why their hearts are colder than today’s air and the ground we stand on! 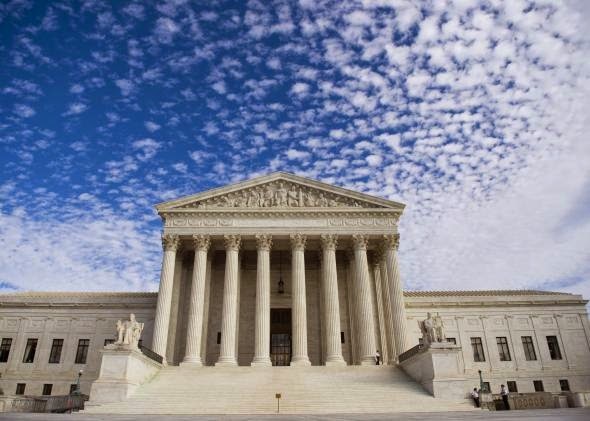 The American Jewish community is caught squarely in the middle by the Supreme Court decision this week concerning prayer in public places. Being a Rabbi and often invited give deliver invocations and benedictions at public functions such as baccalaureates, created because they could not deliver sectarian prayers at high school graduations, in the legislatures of Maryland and Virginia, and other locations in New Jersey and New York, I have lived in the eye of the storm. On one hand it was a personal honor to be invited to speak in the governing bodies of two states, to stand before graduating seniors and their families of greater Richmond, and before the luncheon of the Virginia (Richmond) Bar Association. Since God gave me two, I can say, and on the other hand I wish I hadn’t been asked. If I speak in the name of YHVH, replaced by the word Adonay meaning master, then someone else can invoke, bless and benedict me – I made that word up - “In the name of Jesus.” I don’t want them blessing me that way, so why should I do it to others? What is good for one particular religion is good for the other. And further, since there are more of them than there are of us, it is clear how prayers will be recited most of the time. And moreover, what the male, Protestant, white, Anglo-Saxon founding fathers could never have contemplated is that there is a significant and growing Muslim population besides representative Hindu, Buddhist and others who are equally franchised American citizens and must be respected. And, lastly, there is a growing segment of America who doesn’t believe in any deity at all and don’t want any deity invoked. I first became of aware of this entire dilemma when I was in third grade in the 1950’s. We had just moved from Brooklyn, New York to Belleville, New Jersey. To give you an idea of population, there were four hundred and forty classmates in my high school graduating class. We were but four Jews among them. In third grade a classmate started mussing my hair. I asked him: “What are you doing?” However he knew that I was a Jew I don’t know, but he said: “Where are your horns?” I was more than mystified. I was horrified! Remember, I was eight years old. For most of my public school education before the Pledge of Allegiance and National Anthem we opened first period with the reading from Psalms. Up and down the rows we went as every student had to read a Psalm. All were permissible but two, one exceedingly long and one exceedingly short. Then they, not me, recited the Lord’s Prayer. My third grade teacher, whose name I still remember, took me outside and asked me: “Is there something in that prayer that you can’t recite, which is against your religion?” I was in third grade! I wasn’t even in Religious school yet and I certainly was not versed in holy texts. Somehow I came up with my answer: “It’s not mine.” That, in a nutshell is my answer to the Supreme Court. “It’s not mine.” And in a democracy, I don’t have to walk out the door from MY public institution and you shouldn’t force it down my throat or in my ears. The divide of the Supreme Court on this issue is also notable, five Catholics in the majority, one Catholic and three Jews in the minority. Protestants need not register. I have a very strong memory about the presidential campaign of John F. Kennedy in 1960. He being a Catholic, the more than rumors went, he would take orders from the Pope in Rome. Perhaps just tongue in cheek, I would like to ask the NSA to check all the communications, which they most certainly must have, between the Vatican and these five justices. It was a very long snail mail. It is less than poetic that the majority opinion was written by a man called Kennedy. The irony is not lost upon me. While people are scurrying to find silver linings in this ruling, I don’t see them. What do they mean by saying that non-Christians cannot be “denigrated?” What happens when there are non-Christians in the town or hamlet but no clergy of their faiths? How is there inclusion? What happened to the multi-cultural, multi-ethnic, multi-religious fabric of America that everyone has recognized? This flies in the face of everyone of every community. All across America there is a deeper understanding, appreciation and respect of being equal with each other with our differences, especially viewed in the reversal of attitudes towards the LBGTQ population through the subject of marriage equality. How dare he say that if I don’t like it, I should leave the room! That room is equally ours for everyone and no one has to leave it. We have had a vested interest in this fight. As I have preached before, there is a Jewish woman in Danville, facing the identical situation, who consulted with me before proceeding with a law suit. She lost her anonymity but won the law suit which was held in abeyance because of this case before the Supreme Court. That victory is now pyrrhic, surely overturned by this ruling. There is a true theological question to which the Court could not address, which doesn’t have an easy or simple answer. Is God ever absent? Is God ever absent in any place or any time? Here in the synagogue we have the Ner Tamid hanging centrally in the Sanctuary to indicate by its light that never goes out, that God is eternally present. In the book Night by Elie Wiesel, he wrote that in Auschwitz one asked, “Where is God?” and Wiesel answered, “Here beside us.” Even, especially there, too. Do you leave your faith in here when you leave and not take it with you, to home, to school, to work? Is religion a behaviorism relegated to a slice of a particular time of our daily pie? Do we check our faith at the door? No! A thousand times no! I don’t do that. A truly religious person can never do that. Perhaps a better comparison is that my being a person of faith in God is more like my Bios computer program, always running, even when the computer is turned off. For a religious person, how can God not be present? For a religious person, the value system, the foundation for determining right and wrong in an ever changing world is always based on Holy Scripture, God’s word and the teachings of the tradition. It shapes my vision of existence. I wear my kipah at all times to remind me that I am always in God’s presence. In my synagogue the cloth that covered the lecturn extended over the edge and was inscribed in the Hebrew with the words from the Rabbis: “Know before whom you stand.” The artist of this synagogue placed at the epitomy of the room a line from Psalm 16: “I place the Lord before me always.” Is God ever not beside me? There can be no other way. Can I say: “Are we supposed to be Americans without faith?” Impossible. Every time I spoke in a public venue, I first reminded myself that I wasn’t speaking in here. Here, in shul, I use our particular and unique language, but not out there. I would sit for quite some time to frame my remarks for all to share, respecting all and every person present. I even think of those who don’t believe at all and how to respect them, too. It is very difficult. I didn’t say “Baruch Atah…” and I didn’t use Adonay. When I invoked, every listener could think of God in their own terms of reference. It wasn’t easy composing those benedictions and invocations, but it was necessary. I could cite our faith tradition for a teaching, a value, a mitzvah, whose message was applicable and suitable to the time and place that I was speaking. I love to hear teachings from Christianity, Islam, Hinduism and Buddhism to learn how other faiths speak, how other faiths value. Written with sensitive language, infused with respect for others, I could never be offended but rather educated, motivated and elevated in listening to other faiths speak. And much we have in common! How holy we all are because of our different beliefs! The Supreme Court missed a golden opportunity to teach America about tolerance, respect, and the holiness of each individual citizen. They could have united us in a spectacular way and not divided nor denigrated any of us. They could have enunciated the way to say “In God we trust” and honored everybody. Now, as people of faith, we have to start all over again. Somewhere filed away is my first bulletin message. I remember that it was accompanied by a picture of a very young Ruby and me. It seems like only yesterday. Yet the miles and the years have been filled with the relationships and love of many people. Especially before the computer age and the inundation of a new congregation, usually larger, it was hard to stay in touch. As we are staying here in Richmond, this moment is different from all the others. We have never lived in any other place as long as we have lived here with you. In these twenty-one years I have been so deeply involved with multiple generations of families that I can sometimes do the family tree as well as others. I look at a bar/bat mitzvah having officiated for their parent’s wedding and know their grandparents as well. This has been a unique journey for me as well as for families whom I have known and loved. With the end of this month I will transition from Rabbi to Rabbi Emeritus and during July Rabbi Knopf will become the Rabbi of Temple Beth-El. We have already spent wonderful hours in conversation together and I look forward to his arrival. Long ago a colleague wrote in his bulletin at the same juncture in time something to the effect that for all the years he was their Rabbi and friend, now he is just their friend. I quote those words and adopt them as my own as I share them with you. For all these years I have felt that I was more than just your Rabbi. I have felt true friendships, camaraderie and love. Standing on the bemah before you created a distance, but when I descended and we shook hands, hugged and kissed we bridged that space. It has been the content and context of my life. For these years I have been your Rabbi and friend. From here forward I am just your friend. Rabbi Knopf will be our Rabbi. As the Rabbis teach us to learn from everyone, I am looking forward to learning from him as he will preach and teach us. My beloved pulpit will be his. As you did towards me, for sorrow and joys, you will now turn toward Rabbi Knopf as your Rabbi for all officiations. May God bless him with Divine wisdom, strength and love. Should you wish my involvement, it is necessary to discuss that with Rabbi Knopf and he will be the one to be in communication with me. This transition must be done with respect and with love for both of us. This is what is right and proper. It will bring us joy. I hope to see you in shul and sit among you as I sit next my beloved wife. Ruby and I have seldom had the pleasure of sitting together. We look forward to that blessing. From our hearts and home to you and yours, Ruby and I send you our love. I stand here most humbled and over-awed by this entire Shabbat. When I close my eyes I view every pulpit on which I have stood and the people from my congregations whom I have served since, as a very young, very eager and somewhat scared student in the Rabbinical School of the Jewish Theological Seminary in New York City, I assumed the most honorable title of “Rabbi.” I did not dream about this moment in my life and that of my family. With fullness of heart I say that I rejoice in having chosen this path. At a very young age I decided to be a Rabbi. From this vantage point I can see that I had no idea what this really meant. It has taken me a lifetime to learn. I thank the Ribono Shel Olam, the Master of the World, for the strength to serve Him and through you, to serve the Jewish people. As I learned in Pirkei Avot, I did it without expectation of such a reward as this Shabbat. Serving God and serving you was reward unto itself. I am as captivated tonight as I was on the day I was ordained by the honor and privilege to be a Rabbi. As this is the Jewish month of Adar, the Rabbis say “Me-she-nichnas Adar marbim b’simcha” – “When Adar enters, we increase our joys,” certainly this Shabbat is a most joyous celebration of my, Ruby’s and my children’s journey through life and the Rabbinate and our two decades here with you. More than I have blessed others, I know that I am, among others, most richly blessed. Because I composed these remarks before I could see the journal, I will refer to it in thanking the people responsible for this entire Shabbat. To Bonnie, Judy and Benita and all the committees I extend my deepest appreciation for all of the efforts, time and energies invested in making this celebration. You have kept me in total darkness so that I can only imagine the enormity of this undertaking. We thank you for giving us the memory of a lifetime. My heart is brimming with gratitude. I personally thank everyone who has been here Erev Shabbat, Yom Shabbat, as well as this evening. All of you have made this a most special moment. Surrounding and supporting me through my career have been the staffs of my synagogues. Here at Temple Beth-El I have enjoyed a most wonderful camaraderie with Executive Directors Carl Hayslett who is really such a great friend and assisted in our transition here and the early years of our activities, Sheldon Herold with whom I shared a wonderful friendship and now Jayne Sklon, with whom we have already shared much. Need I say more about Josephine but to note her joyousness, her love and devotion, and greatest hugs. My family and I love you dearly. There have been a number of people upon whom I have totally relied for their expertise, confidence and friendship. Joni Irvine, Lena Shapiro, Jane Gillian and for years Norma Fiedler have been my right hand, taken initiatives, protected me from you, and enabled me to fulfill my work. No one can really know the inside of the daily pulpit Rabbinate. They do. I am in their debt. Edith Levin and Debbie Lacks-Hanner and I shared much in these years and I have worked closely with Carrie and Krista Fidlow. I have shared our synagogue leadership with educators David Goldsmith, Judy Rubin, Rabbi Tirza Covel, Aviva Gershman, Nathaniel Fink, Bari Cohen, and Hazzanim, Edward Cohen and Marian Turk, she serving in the dual capacity. I thank them all. Besides the officers and other committee chairs, I have been privileged to work with a most devoted number of Ritual Committee Chairs: Mac Kalman, alav hashalom, David Ruby, Jim Plotkin and Ed Mollen, my dear Shabbat and Yom Tov walking companion. Norman Sporn headed the committee for the assistant Rabbi that we had for two years with Eric Rosin. In these years, in addition to the regular life-cycle events of the congregational life, we have had Shabbatonim, three Adult Bar/Bat Mitzvah Shabbatot, restored our seventeen Torah scrolls, created an Adult Learning Center with a vast library, adopted Siddur Sim Shalom for Shabbat & Festivals and Siddur Sim Shalom for weekdays and most recently Mahzor Lev Shalem for Yamim Noraim, and built a mikvah used by all of Central Virginia. I am indebted to this entire group for their support, encouragement, boundless efforts and energies, confidence and love. I could hardly imagine the hours that I would spend on our cemeteries showing honor to our dead and love to the living. Even after everyone else had gone, I had the devoted companionship of Helen Dranoff, aleha l’shalom and Bette Rose Webne. In the most painful of moments you gave me strength and courage. Most of those times were spent in the company of family and members of Bliley’s who have been like family to me. Even with Ruby’s infinite love, I needed your inestimable talents and support. Nick is always besides me. My life has been deeply enriched by colleagues from our neighboring churches with whom we celebrate Thanksgiving, and those with whom I volunteer to help better our world, such as the Virginia Interfaith Center for Public Policy who honored me this year. In this moment of recognition I take this opportunity to publicly recognize, honor and thank all you. You have been my truest companions in this journey. The Rabbis teach us: “Mikol m’lamday hiskalty” – “From all my teachers I have learned.” The highlights of each week have been the most devoted fellow learners in the Talmud and Torah classes. You have been my inspiration. We have learned that “Talmud Torah k’neged kulam” – “the study of Torah surmounts everything else.” I am grateful for the opportunity to learn with you. May we continue on into the future. In composing these remarks, I really wrote this section last. I am thankful that my parents, my mother Clara, Savta Kuneh here with us tonight and my father, Henry, Sabbah Tzvi, zichrono l’vrahcha, may his memory be for a blessing, discovered the little town of Belleville, New Jersey, with its Rabbi, Victor Cohen, where I discovered God and Torah. My parents discovered opportunities for me to pursue my dreams and drove the miles to different destinations that were the dots that connected to this moment. I believe that my father sheps nachas in heaven. My mother is his witness. As she will be blessed to turn 90 this month I take this moment to wish her a happy birthday. Quite a party! My European born grandparents gave me a treasure in their presence that connected me through time and place. My maternal grandmother must be chuckling at what became of her ainickle. Forty-four years ago this summer Ruby and I met at USY Encampment held in the Berkshire Camp Ramah. We thank our friend Suri for that! As much as this Shabbat honors me, it honors her. Once I was asked: “After all of us have come to see you, who do you see?” And I answered: “Ruby.” In my student pulpit, a young child expecting to hear the Rabbi’s wife introduced as Rebbetzin, heard us introduced as “Rabbi and Ruby” the child asked: “What’s a ‘Ruby’?” I should have answered “the perfect jewel.” You have been my strength, my proof-reader and confidant, my love. I have saved every card in which you have poured out your love for me. While yours vastly outnumber mine, I can take this public place to thank you for every moment of our lives together and all that you have done for me, for our family and for the communities that we have together served. To quote: “I love thee with the breath, smiles, tears of all my life.” I ask everyone to please rise to honor my wife. Our blessings have multiplied greater than the midrash in the Passover Haggadah about God’s miracles at the sea. In my senior sermon, without the gift of prophecy, I speculated on what would become of our children? I had chosen an observant Jewish life. I had chosen the Rabbinate. What would they do? Each of you here and Yonina in Okinawa has given us a glorious life. We celebrate Tzeira and Arsen’s forthcoming marriage in Yafo - Jaffa, Medinat Yisrael this coming December, bringing full circle through your lives the history of our people that I have felt so acutely. How proud we are of you both. Tzeira, you have had courage that far surpasses mine. Arsen, you are an inspiration in the work you are doing. When, in other locales, someone says “Rabbi Creditor” I learned to sit still and not turn around for they are usually not calling me, especially when it is preceded by the words “Chaplain” and “Lieutenant.” Every time I speak to her, Yonina relates new initiatives, classes and programs that she is instituting for the Marines and Jewish community of Okinawa. I am awed by the training that she endured, her utmost level of commitment to the United States military, and her great courage, ometz lev, far from home. The Navy flag flies from our home and the challenge coin that says “Proud Navy Dad” is always in my pocket. As distant as are the miles is as great as my love and esteem. When Menachem said at a Seder table that he was considering going to Rabbinical School, it took some time for it to hit me that there could be two Rabbis Creditor, never mind three in the Rabbinical Assembly directory. Emah and I are supremely proud of all your accomplishments in your communities and around the world, for leadership in causes near and dear, for your writings that are an inspiration to many, for the courage you have had in difficult moments. We brim with pride when we visit Berkeley and people at Netivot Shalom begin sentences with “Your son…You must be so proud.” You know how much we are. You have given us the gifts of the next generation through Ariel Shlomit, Moshe Tzvi, and Raya Meital. In their names they perpetuate the family. Their voices, hugs, kisses and words are pure delight. We gaze at their pictures every day. We look forward to Ariel’s Bat Mitzvah a year from now. You have bestowed upon us the sweetness of the world-to-come here in this one. Emah and I thank each and every one of you children for making our lives so richly blessed beyond the poor power of my words to express. I recognize my late in-laws, Ruby’s parents Adele and Walter Eisenberg, who saw much of my Rabbinate. My mother’s sister, our Aunt Helen will be turning 100 this month, poo, poo poo, and thus this trip was too much, but her presence and influence is felt with us. Her husband, my uncle Ralph Dubin, alav hashalom, was such a deep influence and presence in our family. He and my father must be having some conversation in heaven about all these goings on. I have been blessed with the deep love of my brother Bruce and sister-in-law Susan and their children Avi and Yael and her husband Stephen. We have shared so much of life together, despite the distances. We add this Shabbat to our precious memories. These are blessings beyond description. I never included in any sermon reference to the following two pieces that have inspired me throughout my Rabbinate. I could not have articulated this when I began forty years ago which I remember like yesterday. Somewhere, sometime, both of the following became my essence and explain why I have done everything I have done with my life. That was and is the essence of my soul. In every setting, I have presented and affirmed our faith, even in a world that seemed to deny it, even in times of doubt. I came of age as Holocaust literature and movies were first appearing. It all clashed within me. When I said to my parents that I wanted to be a Rabbi, perhaps, without knowing then, but in my subconscious, this was stirring within my neshama. Then I found this piece from Sholom Asch and I said, “This is me.” I sell our faith. Forever. There is another piece that has motivated me, that encouraged me to listen to the voices of children and never consider them as noise. I have shared this only once before. In the years before the Holocaust a photographer named Roman Vishniac traveled through Eastern Europe capturing the world from which my grandparents had come thirty or forty years earlier. On the cover of his book is a picture of a young boy in cheder. His face is infused with holiness, radiant with purity and lustrous with devekut, devotion. Such a love of Yiddishkeit, such a love of God glowed in his face. The picture captured this child with a simple yet pure faith. I wanted to capture and perpetuate that look forever. I have wanted to implant that feeling and faith, that aura in every child I taught, every bar and bat mitzvah with whom I spoke, with every bride and groom with whom I stood under chuppah. I wanted to give everlasting life to that destroyed world through the lives of our own children from the moment of their births, in their faces, hearts, minds and voices, and now in our grandchildren. I don’t just see us. I see the millennia of the Jewish people. I see eternity. Baruch Atah Adonay Elohaynu Melech HaOlam Shehecheyanu v’kiymany v’hegeyanu lazman hazeh. Amen. While I Ruby and I tried to greet everyone at the Gala on March 1st, it was simply impossible to thank everyone individually for being there that Shabbat and evening. I have begun writing to those who took leadership in executing all the significant components of the celebration, but I fear that Passover will arrive before I have completed my mission. Yet to all who attended, to all who took ads and wrote beautiful messages in the Tribute Journal, to all who wrote notes especially if they couldn’t be there, and to those who have spoken with us since and expressed their regret being unable to attend, Ruby and I have the simplest yet most heartfelt words to say – todah rabbah – thank you. As we walked around the social hall and looked out from the bemah of the Sanctuary, my mind recalled shared episodes in life with almost everyone present. It has been a very rich and rewarding journey for us, knowing that in some small way we were permitted to enter your lives and assist in either times of joy or times of sorrow, with yourselves and with your children. I thank you for the privilege. With some of the children I stood on the bemah with them for their b’nai mitzvah and later stood with them under the chuppah for their marriage. While Menachem was in college when we moved here, he came to consider Richmond and Temple Beth-El his home, which was especially true for Yonina who spent her high school years at Governor’s School and particularly for Tzeira who grew up here and graduated from VCU. Their lives intertwined with their friends’ lives and so entered ours as well. Ruby made sure to say, repeating it twice, that we are staying here in Richmond for the immediate future and Temple Beth-El is our synagogue. We are blessed with many, many dear friends. Upon the completion of this year I will receive the title of Rabbi Emeritus and wear it most proudly for the rest of my life. We particularly thank you for the gift which is the representation of the window of the Burning Bush that is over the Sanctuary door towards Roseneath Road and of the two windows that are in the balcony facing Grove Avenue. Ruby found a most beautiful location in our home where it catches the sunlight and brilliantly shines its color throughout the living room, almost replicating the Sanctuary. And we thank you for the Tribute Journal with so many beautiful words and pictures. I have leafed through it quickly as my attention returned to my congregational duties. It will provide me many hours of joy in the future. We thank you for these gifts that will accompany us through life. I also use this opportunity to thank our children for taking my breath away when Menachem announced and presented us with the volume they published of my sermons which they annotated. This, too, I have read only a little, yet it has reached into the depth of my soul to see how the labor of love of my life has so profoundly impacted and shaped them. Some of these pieces were written before they could be shared on the listserv and website. Through the link in the bulletin and Good Shabbos I hope that you will enjoy them and the messages that I have been propounding will continue to make an impact on lives. Our children have indicated to me that I need to get working on selecting sermons for volume 2! As I included in my remarks, the Gala weekend fulfilled many functions, certainly towards Ruby and me. As it was a celebration of my Rabbinate, it also served as a moment of closure of my tenure and as a moment of opening for my successor, Rabbi Michael Knoph. It is our wish that you show him and Adira and their family the warmth and love that you have shown to us. Ruby and I look forward to personally welcoming them to Richmond and Temple Beth-El. There is no way to sum up all our feelings of love and gratitude towards you and to the members of the synagogues that I have served during the forty years of my career. I have saved so many notes and letters, every bulletin from every synagogue and various mementos that adorned my office now will find a place at home. The Megillah of Esther, far from being a silly children’s tale, is a very adult book, a clarion warning about violence and what it does to society. The Jewish observances that stem from, that are included at the end of the Megillah for no real rhyme or reason shows the radically different Jewish view. The Megillah says that in the third year of Ahashverosh’s reign he made a party and they drank for 180 days. After Esther was chosen as queen, he made another party. When Esther evolves her plot to save the Jews she throws two parties for Ahashverosh and Haman. Now they were certainly not drinking sarsaparilla! Regardless of historical inaccuracies, the Megillah reports a society that abused their bodies through alcohol. And we know that intoxication goes hand in hand with other forms of violence, whether it be physical, sexual or with guns. Haman’s degree to exterminate the Jews was all inclusive, “from young men to old, babies and women.” We can look at this from both sides. We do not have to imagine the impact of genocidal violence upon children for there is sufficient literature from the Holocaust. But in Persia this was to be hand-to-hand combat and slaughter. Can you imagine what Haman had planned? The violence against children destroys the last shred of humanity. Several times the Megillah alerts us to this degradation of the society of perpetrators, not only of the victims. The climax of the Megillah is the actual battles between the Jews and Persians. The latter thought that they were going to murder defenseless prey and instead confronted a seriously armed camp. How many Jews died? We don’t know. There had to be some amount of casualties. How many Persians died? Ignore the hyperbole and the questionable historicity. On the first day in Shushan there were 500 dead plus Haman’s ten sons. On the second day in Shushan they killed 300 more. In the rest of the country they killed 75,000. And then they publicly hang Haman’s ten sons. And we sing and dance and make sounds with groggers while we recount all of these deaths, no matter how righteous in self defense it was. Shouldn’t we read it in subdued voices? Shouldn’t we discuss how to tell this to children? My point of reference in this sermon is singularly focused on us, the readers of the Megillah, the revelers in the story and its projection of violence. This text is filled with violence against bodies, against women, against children, against Jews against the Persians, and by extension, against us too. We become desensitized to violence when we read this over and over and take the violence for granted, don’t even bat an eyelash at the numbers of the dead, don’t flinch at the threat to men and women, babies and children. The end of the Megillah gives us a clue. There are two mitzvot created in the ninth chapter, mishloach manot and matanot l’evyonim, gifts to each other and gifts to the poor. There is no hint to why these behaviors are instituted. They don’t connect to the plot. But maybe, just maybe they are created to be the antidote to violence. We give food gifts “each person to his neighbor” and other gifts to the poor. We break down the walls that separate us. We behave with mercy and kindness, even love to each other, and those we don’t know. That is how to diminish violence in the world – change how we think about each other. That is what Isaiah was dreaming when he spoke about breaking weapons into plowshares, instruments to feed the world instead of killing. Just maybe…. As the Bulletin deadline requires me to write this before the Gala weekend, I will leave reflections and other comments to my April and May columns. I have long contemplated the last column for June. A colleague much my senior many years ago gave me good inspiration for it. 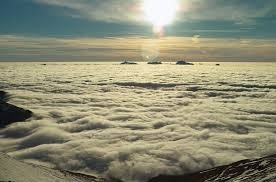 In Hebrew there is a phrase to say that something is important: “D’varim ha-om-dim b’rumo ha-olam” – “Matters that stand at the top of the world.” Certainly each age can nominate their own. In these months my attention and involvement have been absorbed by immigration, marriage-rights, health coverage, women’s rights and gun control. The last of which I have extensively written and preached upon. It seems that every day guns are used in violent crime even when no one is killed. I am not swayed by the purported statistics that say gun violence is diminished. I have electronically badgered our representatives in every party, in the Legislature and the Congress about all these issues. The electronic forms automatically fill in my name and relevant details. Several years ago I was a member of the Board of the Virginia Interfaith Center for Public Policy. It became a springboard for my involvement with an organization called Common Ground which let to participation with Virginia Organizing. The common denominator of these organizations is that they deal with “Matters That Stand At The Top of the World.” As a Jew I – we – have a vest interest in all of these issues, besides others. What in Judaism demands our attention to these matters? 1. Every human being is God’s child. Adam and Eve are the common progenitors of every human being. On that basis, everyone in the human race is family. The differences of language, color, gender, theology and ethnicity do not alter that fundamental belief. This in reinforced by two verses in the Torah. 2. “Love thy “ray-ah” as yourself.” The Hebrew word in quotes is usually translated “neighbor” but that is not accurate. It really means: “the one standing opposite you.” It doesn’t mean other Jews, it means anyone and everyone. We are commanded to love other people with the same level of self-concern with which we love ourselves. 3. “These are the generation of [Adam] [of humanity.” The Rabbis debated the two most important verses in the Torah and these chose the one above and this one, when you translate Adam not as Adam but as humanity. It re-emphasizes that the God of creation createdall human being, that there is a common thread that interweaves all human beings. This leads to the fundamental belief that no one is greater and no one less than the other. All are equal. All deserve equally. And those that have are obligated/commanded/ required to elevate those who do not. 4. Lastly: “Be holy.” It is hard to define the word ‘holy’ without using synonyms that just go around in circles. I try to explain it by saying that it links us to or reflects in us the divine image. It is not judged by the rituals I/we observe but rather by morals that sustain and undergird my/our being. Even as I bring my pulpit Rabbinate to a close, these issues and our Jewish vision of humanity will sustain my involvement with these organizations as I continue to campaign for that which I feel is right and just as God and Torah teaches me. I urge your involvement on behalf of these issues and with these organizations. Perhaps we can make heaven a little bit here on earth. On the issue of ‘gay marriage’ we see a beginning. On the others, we have a long way to go. 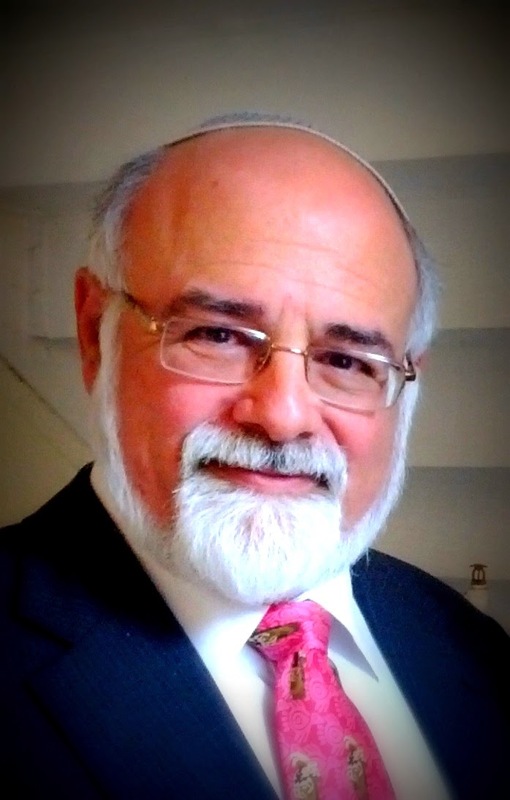 Rabbi Gary S. Creditor has been a Jewish leader for over 40 years, teaching all ages, envisioning and creating a community mikvah, participating on countless boards and communal agencies, Jewish, interfaith, and civic. Rabbi Creditor was tapped by Governor Kaine to participate in the memorial program for the students and faculty who died at Virginia Tech. A member of the international Rabbinical Assembly of America, the Washington Board of Rabbis, and New York Board of Rabbis, Rabbi Creditor was ordained by the Jewish Theological Seminary of America, the world-wide center for Conservative Judaism. In 2003 he received his Doctorate from J.T.S. recognizing more than 25 years of Rabbinic service. He is a published author, a passionate and engaging Jewish leader, a teacher of great wisdom and a warm pastoral friend to many.